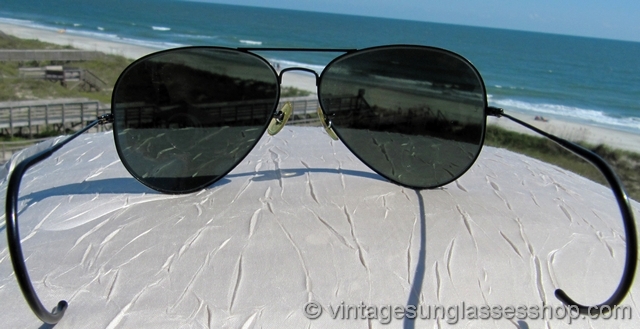 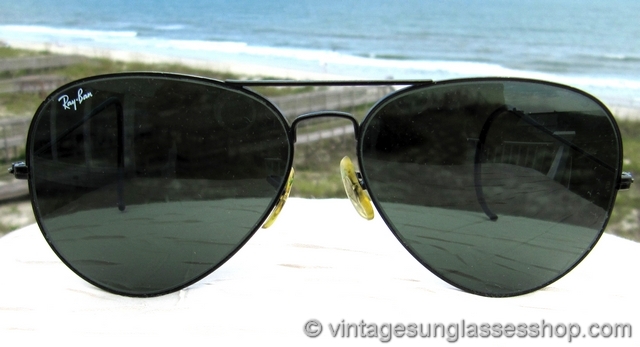 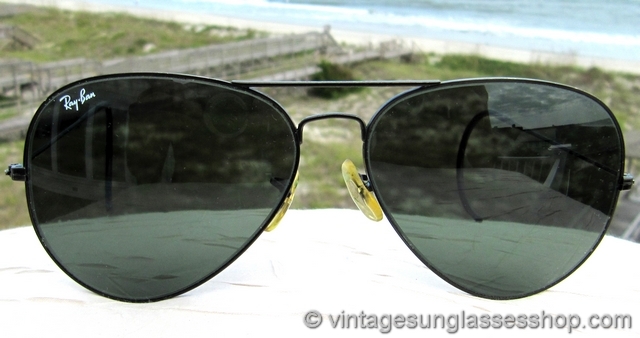 1 Vintage Ray-Ban 62mm black chrome Outdoorsman sunglasses feature the hard to find black shooter frame combined with original Bausch & Lomb G-15 anti-glare lenses. 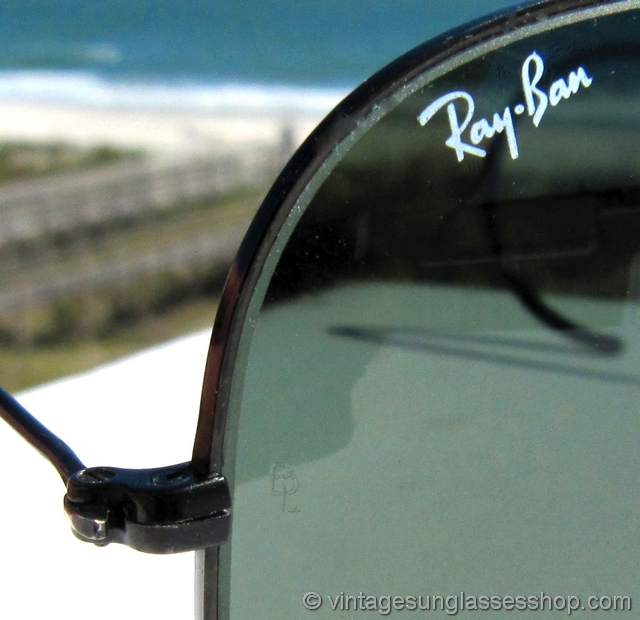 The Ray-Ban black shooters have curved ear stems that wrap around the ears for the most secure fit possible even in the most active conditions, and the black frame looks great with the G-15 lenses that provide 100% eye protection from harmful UVA and UVB rays. 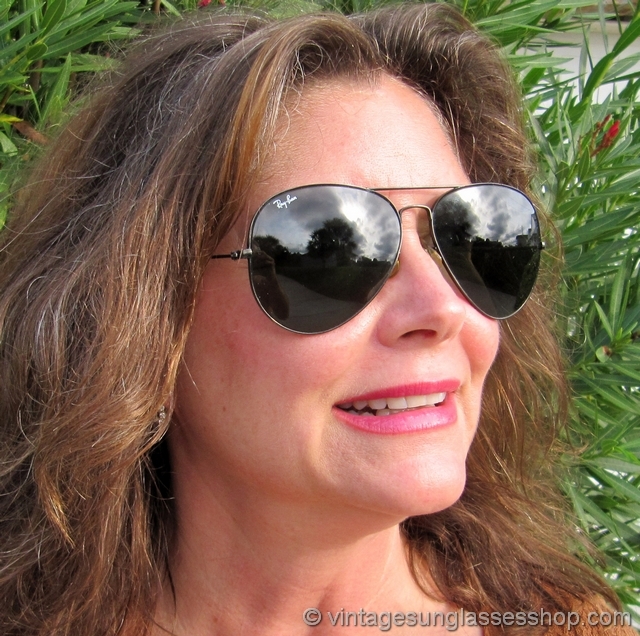 The unisex frame measures approximately 5.75" temple to temple, and the lenses measure approximately 2.375" x 2.0" at the widest points with right lens laser etched Ray-Ban and both lenses laser etched BL near the hinges. 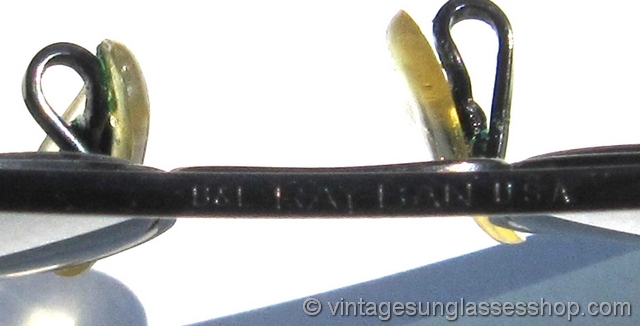 The top of the black chrome nose bridge is marked B&L Ray-Ban USA while the bottom of the bridge is marked B&L Ray-Ban 62  14 all impressed in the metal, part of a great collection of vintage Ray-Bans in Des Moines, Iowa. 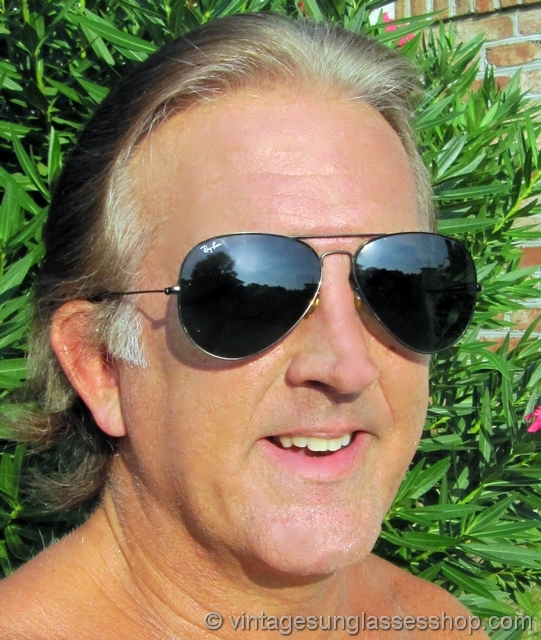 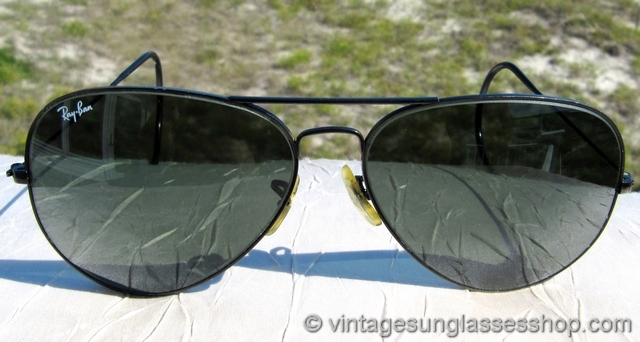 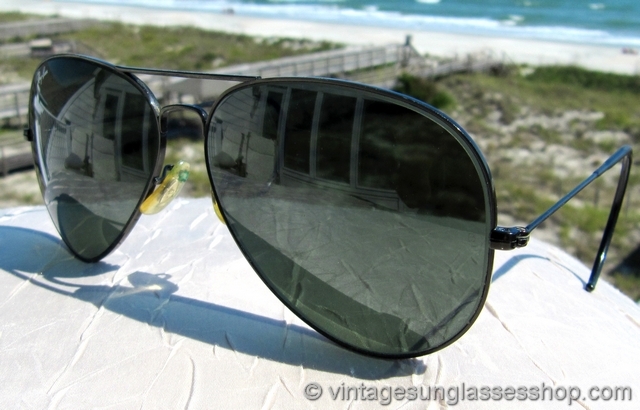 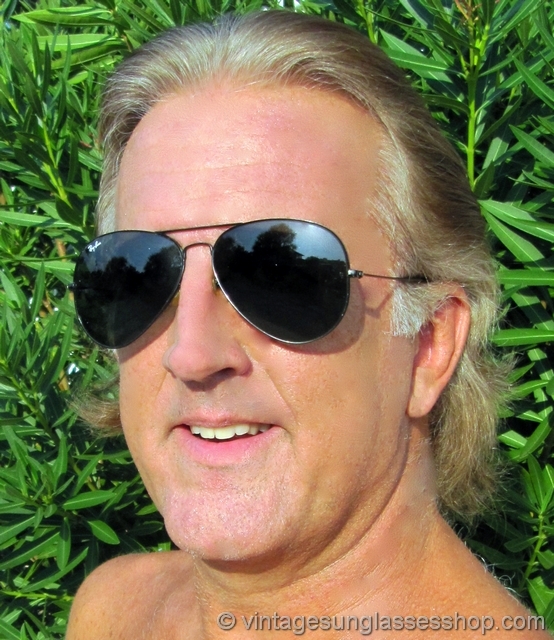 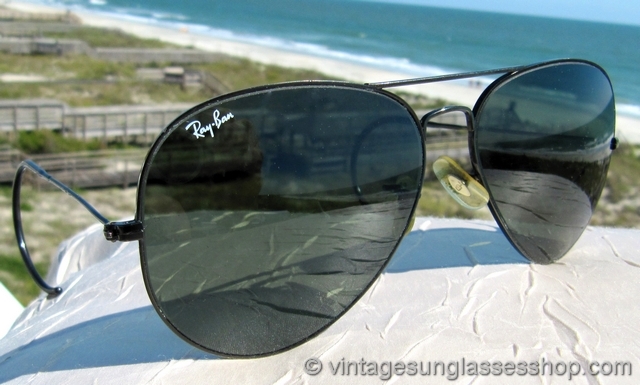 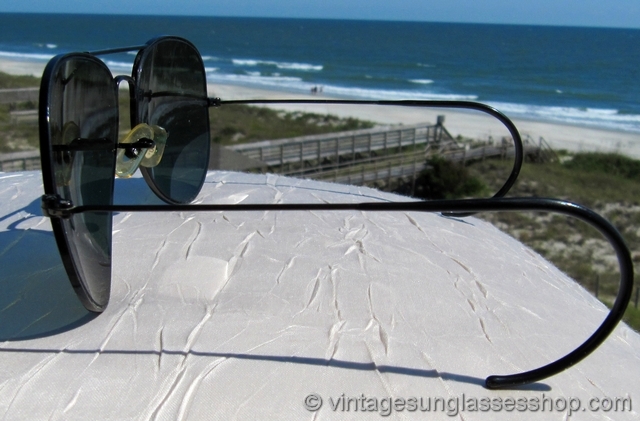 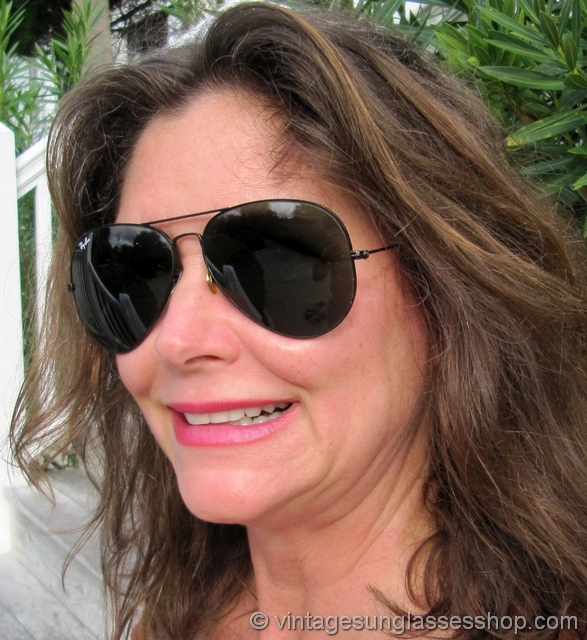 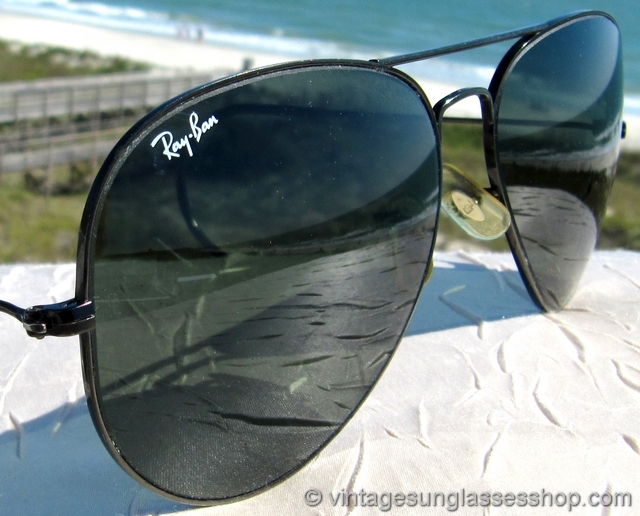 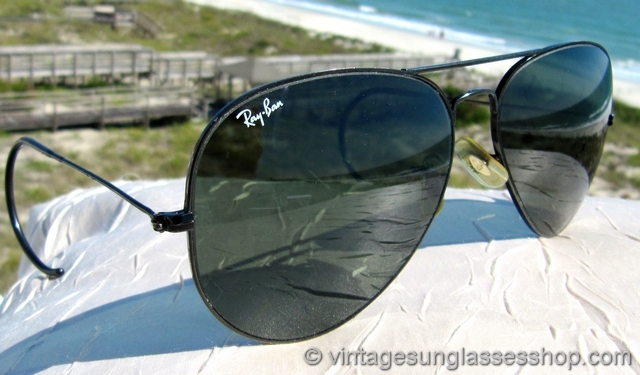 2 Early B&L Ray-Ban 62mm black Outdoorsman sunglasses are identical in appearance to those pictured but date to c 1970s before Bausch & Lomb began laser etching Ray-Ban on the G-15 lenses. 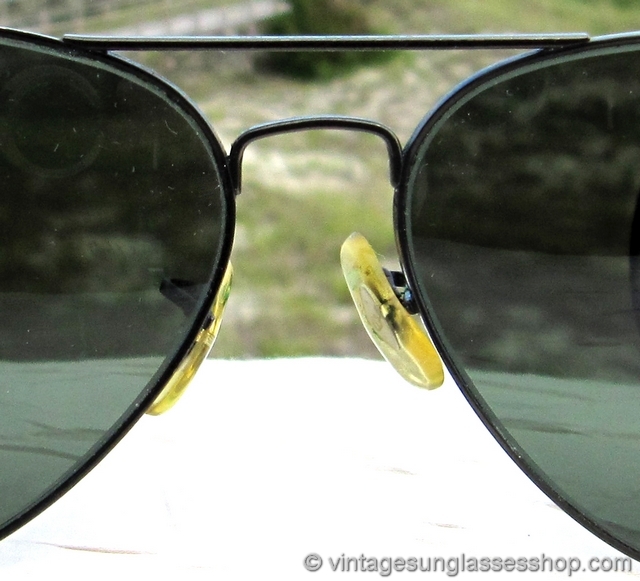 As with #1, the top of the black chrome nose bridge is marked B&L Ray-Ban USA while the bottom of the bridge is marked B&L Ray-Ban 62  14 all impressed in the metal.